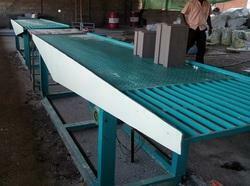 These tables are used for making Paver Blocks & Paver tiles using Paver & Tiles Moulds. These Paver & Tiles Moulds are available in PVC and Plastic. 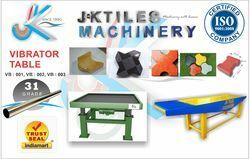 Being one of the reputed organizations in the market, we are engaged in providing an exclusive range of Colourful Tile Forming Machine. We can provide you with any size and length of Tile Making Machines.. Ceramic tiles making plant starting from rupees 20 crores to 35 crores. we deal with old and new ceramic tiles making plant as per customers requirments.